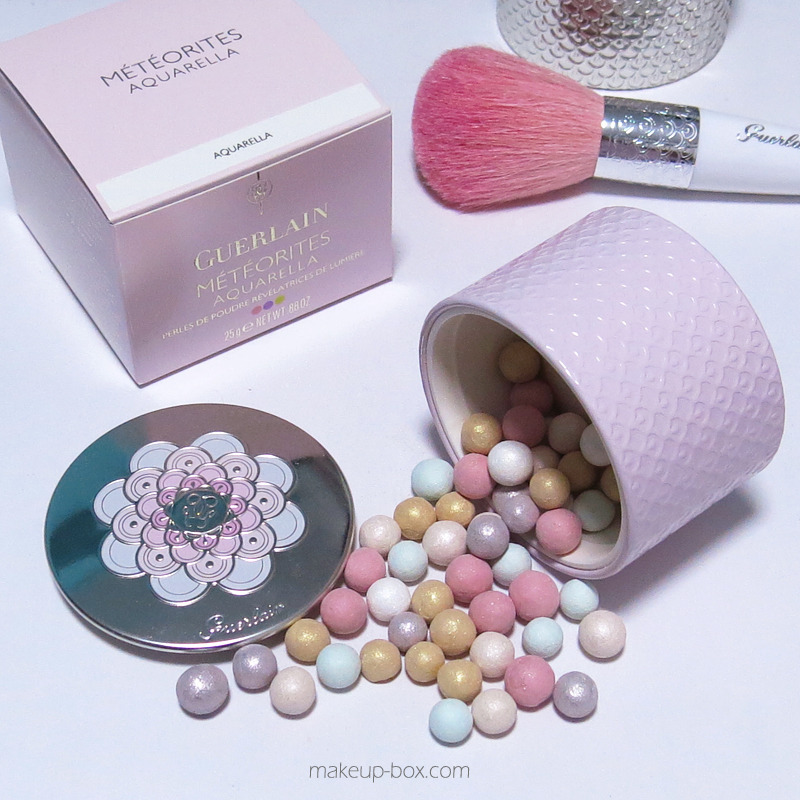 So in love with 2014's limited edition Guerlain Meteorites Aquarella, a pretty pastel pink tin filled with a mix of regular pearls as well as silver-and-gold pearls. It's more of a subtle illuminating powder with visible flecks of shimmer. If you haven't tried them before, Meteorites are subtly luminous multi-colored pearls that you sweep a face brush over and dust over your makeup as a finishing powder. They don't look all shimmery like they used to in the older formulation. The newer formulation is smoother and has good color-correction properties. 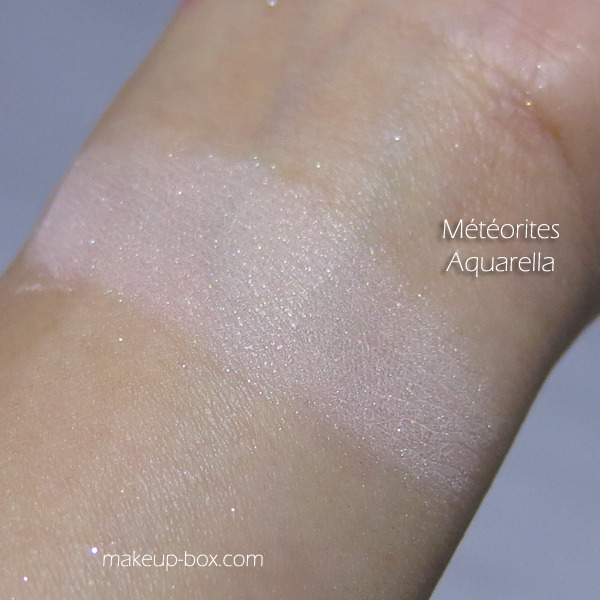 To see a visual comparison of Aquarella with the regular light-colored Meteorites, 02 Clair and 03 Medium, go on over to my blog! omg everything about this is beautiful! The packaging is to die for! Do you still remember how much the brush costs? It's really pretty! So sorry I didn't see your message earlier! I remember it was about $50+ in Singapore. But I might have remembered wrong... if so apologies! Very useful! I'll share this post to my sister who's dream is to be one of the best makeup artist in the Philippines.